My kids were never big fans of cherries. They were, however, big fans of smooshing and swirling and finger painting with cherry sauce. Now that they’re older, they love cherries and especially spitting out the pits, which we try to keep to a minimum. Remember, a little food play is a good thing (repeat this three times and don’t forget to breathe!). Serve cherry and blueberry together and you may just wind up with purple sauce! 🍎Vitamins A, C, K, and folate too! If using fresh cherries, rinse the cherries. Pit and remove the stems. Rinse again. Place the rinsed or frozen cherries in the slow cooker. Add the water and stir to combine. Cover and cook on low for 4 to 6 hours. Check after about 2 hours and stir or remove the cherries to pit. The cherries will be bubbly and maybe even frothy, but don’t be alarmed. Allow cherries to cook for 2 to 3 hours longer, or until reduced to a nice sauce. Remove the cherries from the slow cooker and set aside to cool. When the cherries have cooled, you may wish to run them through a strainer to remove any skins. 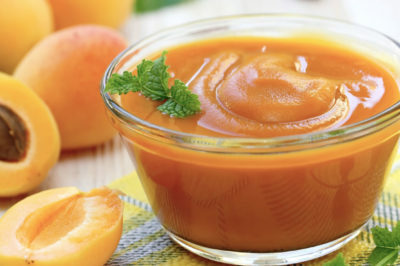 Preparation and Storage for Baby If the texture is appropriate for your baby straight from the slow cooker, set aside a portion or two for baby’s meal and feed after the cherries have cooled. 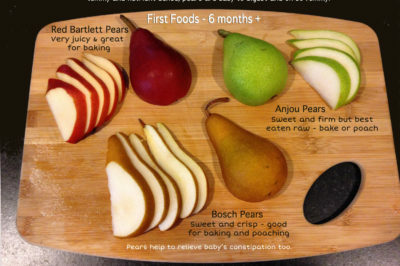 Otherwise, blend or process the cherries to a texture that is appropriate for your baby. It is easiest to puree cherries using a handheld blender and blending right in the slow cooker. You may need to add water, formula, or breast milk to thin for beginner eaters. 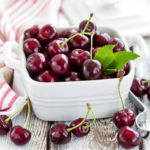 The skins of the cherries will not completely disappear once the cherries have been pureed; however, the tiny bits of skin should not be a choking issue. Store in the refrigerator for up to 3 days for babies or up to 6 months in the freezer. 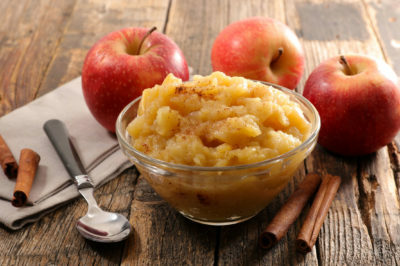 For the Family With the remainder of the cherry sauce, you may wish to add a bit of vanilla and, if desired, a small amount of ground cinnamon and honey or sugar. You can put the sauce back into the slow cooker and cook it longer so that it thickens to a jam. The sauce is great mixed into oatmeal, spread on warm corn bread, or added to plain yogurt.